Tommy Leonard was a bartender, a bad one by many accounts. A beloved one by all accounts. FALMOUTH — He was orphaned as a young boy. He was a US Marine as a young man. He was a bartender, a bad one by many accounts. A beloved one by all accounts. He never learned to drive and yet saw the world. He never had any children, and yet his final farewell this week will overflow with celebrities and common folk from around the country who will come back to Cape Cod, where his legend solidified. It’s time to do something his legion of friends and his extended family never wanted to do. It’s time to say goodbye to Tommy Leonard. Anyone who has heard the remarkable story of Tommy Leonard would never doubt it. Leonard died Wednesday night at a Falmouth medical facility, race organizers said. His official biography would go something like this: He ran his first Boston Marathon in 1953. 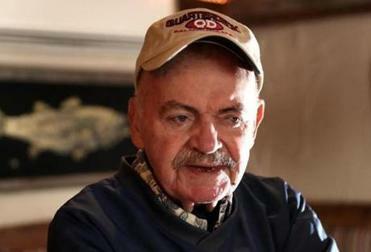 He was a fixture behind the bar at the Eliot Lounge at the corner of Commonwealth and Massachusetts avenues in Boston until it closed in 1996. He organized the Falmouth Road Race, an event he helped grow into a colossus that has raised millions of dollars for charity. They’ve named a bridge after him on the last stretch of the Boston Marathon. When a thief with a walnut-sized heart stole a duckling named “Mack” from the “Make Way for Ducklings’’ sculpture in the Public Garden in 1988, Leonard and Doyle raised money for a replacement. He counted among his friends marathon legends like Frank Shorter and Joan Benoit Samuelson, both Boston Marathon champions, just like Bill Rodgers. 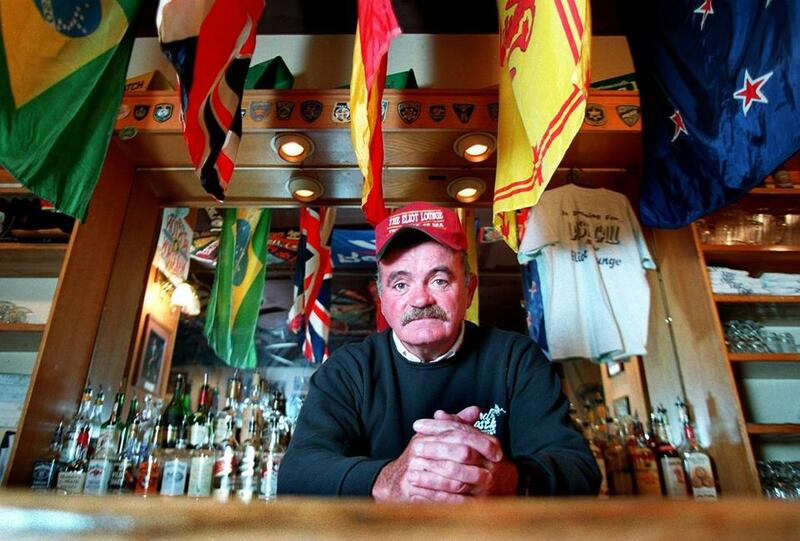 After Rodgers won the marathon for a second time, in 1975, he stopped into the Eliot Lounge where Tommy Leonard mixed a drink for him that he never forgot: a “Blue Whale’’ that Leonard concocted on the spot. There is the legend of Tommy Leonard. And there is the story of his endless humanity. And that is the soulful tale that is being sweetly recounted this week. Susan Tierney Oslin, whose parents took Tommy in after his own parents died, considered him her brother, a sweet guy who as a kid pretended he’d swallowed a bird, making chirping sounds that delighted Oslin and her cousins as they convulsed with delight. Before the wake and funeral, some of that family gathered at the Quarterdeck here, the restaurant and bar that was Tommy Leonard’s professional home for some two decades. There was a seat reserved there for Tommy. A full glass of his beloved Sam Adams sat untouched on the bar. In front of it was a copy of a biography of Leonard written by Kathleen Cleary. Cleary traces her friendship with Leonard to the Eliot Lounge and later to her Berkshires restaurant, where Leonard also once tended bar. Jones tended bar at night at the Eliot, coming on duty as Leonard was getting through. When Jones once invited Leonard to his parents’ house in Scituate on New Year’s Day to enjoy their new color television — a rarity in those days — his fellow bartender showed up after running all the way from Boston. As his health began to deteriorate, Leonard lived at the JML Care Center here, where Jim McDonnell, his longtime friend and fellow bartender at the Quarterdeck, would bring him the daily newspaper and a chocolate croissant. For McDonnell, who had accompanied Leonard to the 7 a.m. Mass every Sunday at St. Patrick’s Church on Main Street, where his funeral Mass will be said Thursday morning, it was a labor of love. “He was generous in a quiet way,’’ said McDonnell, who recalled watching Leonard most mornings, cutting fruit before the Quarterdeck’s doors opened for the luncheon crowd. “He did things for people without any credit. This week, Tommy Leonard’s friends were fielding calls from across the country as a final tribute took shape. They called from California and Colorado. From Oregon to the Berkshires. Karen Rinaldo, a poet and artist and longtime Tommy Leonard friend, has written “An Ode to Tommy Leonard’’ that will greet the assembled mourners. The last time I saw Tommy Leonard was two summers ago. It was Aug. 15 to be precise. His 84th birthday. “Giving makes life worth living,’’ he told me then from a table at the Quarterdeck. “And that’s always been embedded in me. So many people were good to me in my lifetime. If it hadn’t been for the Tierney family, Frank and Eleanor Tierney in Westfield, who took me in when I was about 15, I probably would have ended up in jail. Tommy Leonard was 85. His spirit forever young.